So here’s the deal. I have loved quilting since my mom made my first one for me in 3rd grade. Last pic of this quilt before it it bit the big one. It had multiple layers of fabric of all types…yes, even taffeta. 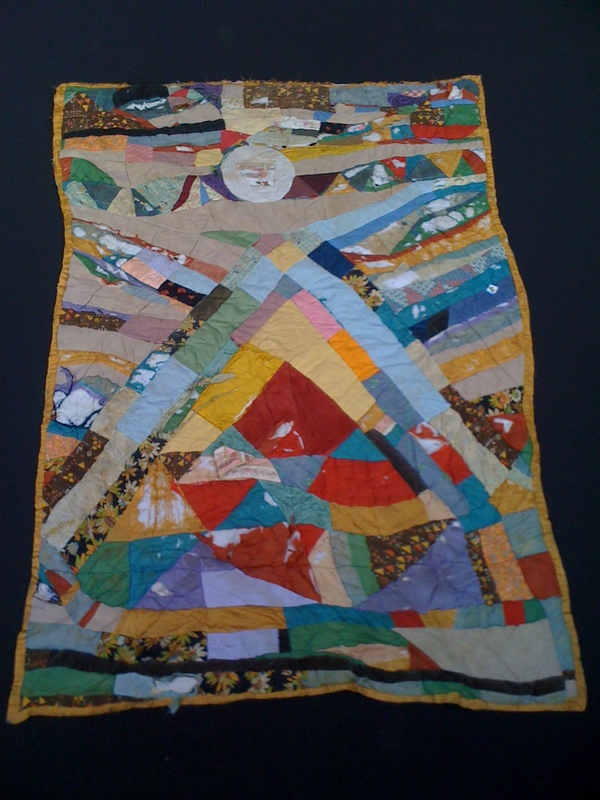 I took up quilting with a bit of a passion in college in the late 80’s. Life has gotten in the way and I have been stalled on and off for the last 20 years. Seriously twenty years, how does that happen? So you might ask: Do I still have a fabric stash? Yup. 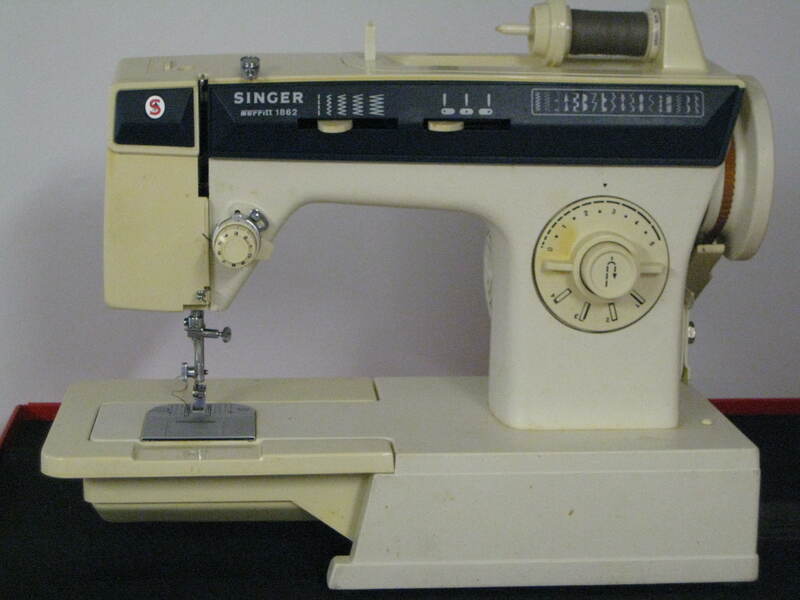 Do I still have the Singer sewing machine I scraped my hard earned college shekels together to purchase? Singer Merritt 1862 Machine. I was shocked to see how much it had yellowed in its case in storage. 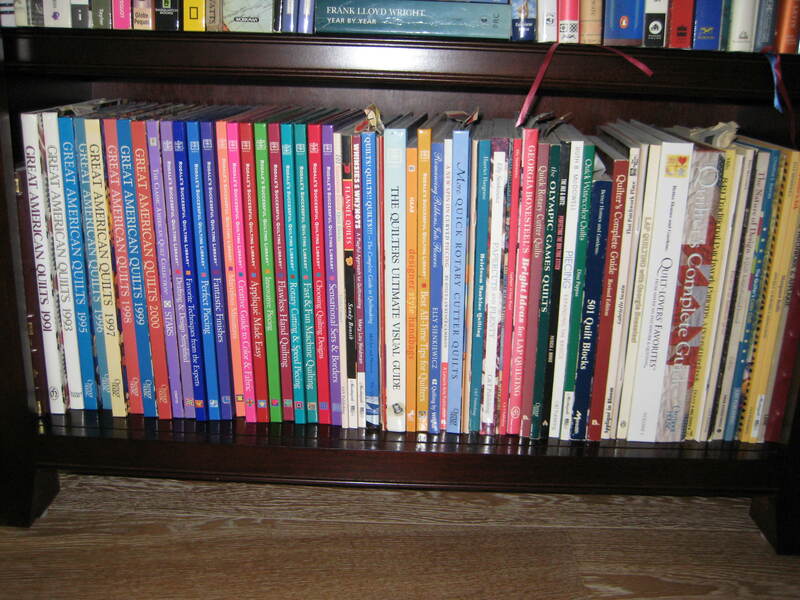 Do I still have a (paired down) library of 20+ year old quilt books? What’s left of my quilt book library from many moves. Yes, however it may be time to go through them. 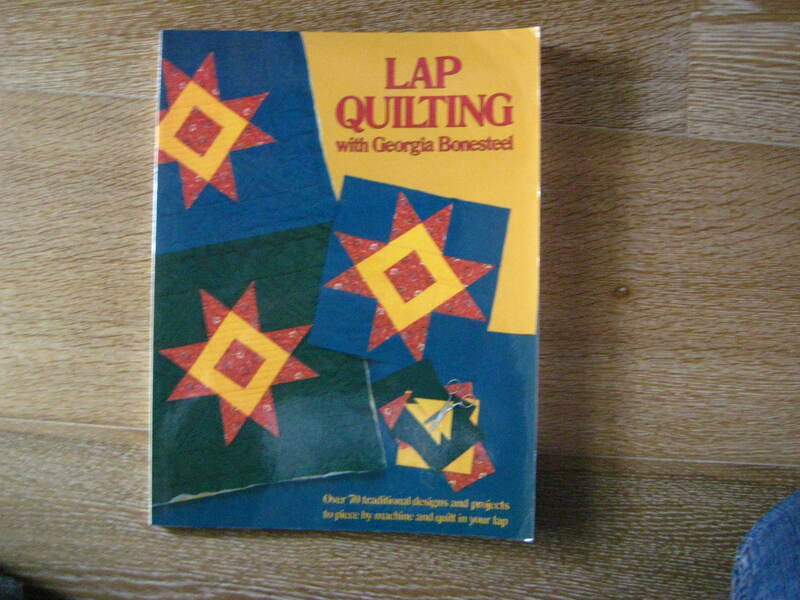 Anyone remember this one Lap Quilting with Georgia Bonesteel from 1982! So I should get on with it already, no? Sounds easy. No brainer. Wellll, not so much. You see, I am in the process of finishing my dissertation which has been many years in the making and I work full time…and I got married about two and a half years ago…and I love to work out …and I just becoming a decent cook… These things take time. Now don’t stop reading just yet, I have a plan! I have promised my husband that I will not sew quilts until the dissertation is done (or at least to that last part where there is a lot of hurry up and wait). In the meantime however there is much to do. There are UFO’s to go through, a fabric stash to make sense of, an old sewing machine to set up (not the one I talked about, I’ll get to this next one in another post), books to weed and new ones to buy, blogs to discover…oh so much. And I want to take you along for the ride. With any luck I’ll be quilting by July and we can watch me grow. 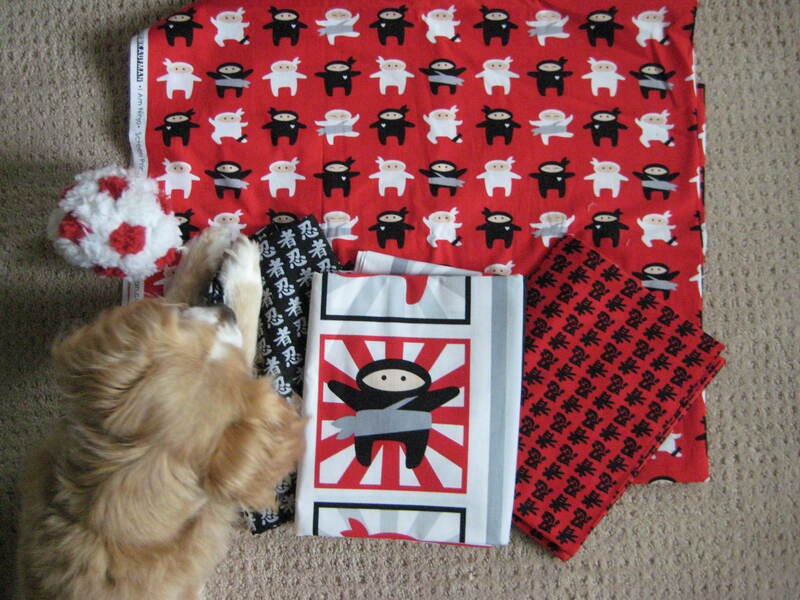 Our 7 year old puppy Apollo had to get in on the picture of my I am Ninja fabric. 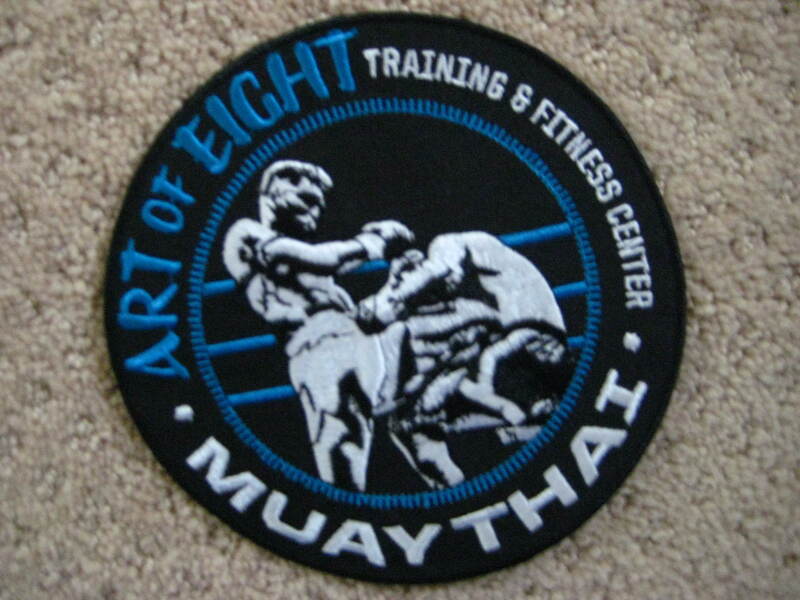 the patch I earned by passing the level 3 Muay Thai kickboxing test at my gym. 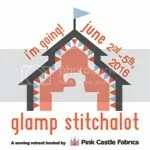 I may also slip into some fabric buying as I daydream about the day I can begin again. Recent purchases for no particular project they just spoke to me. I find myself drawn to the modern quilts now which were really non-existent when I was quilting before. Oh how I want to get started. 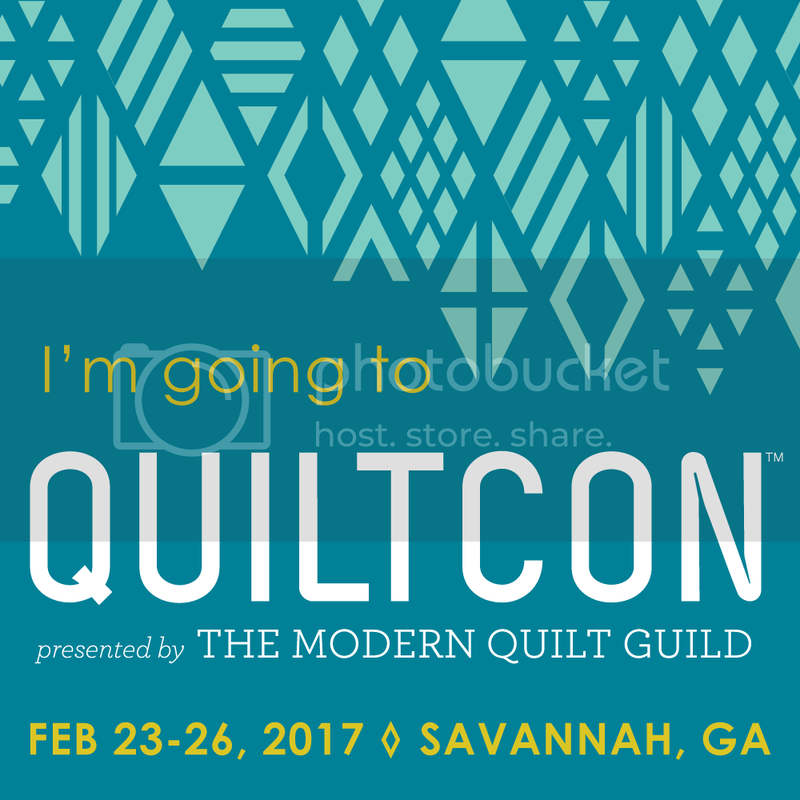 In the meantime I will collect blogs, make my craftsy lists, Pinterest my heart out, lurk on my local modern quilt quilds web page and wait for the day I can afford the time to show up to a meeting. I want this blog to document my progress and my journey. This entry was posted in fabric, Little Sewing Projects, sewing machine and tagged I Am Ninja, New Fabric, Quilting Books, Sewing Machine. Bookmark the permalink. Hi Ali! Having just finished reading your letter, I am going to make my way through your blog, one post at a time. I loved seeing your childhood quilt, and I laughed out loud when I saw your Georgia Bonesteel book. I have a companion to it here. Same with your new fabric choices–I have a couple of those in my stash and have sighed over others as I reluctantly left them on the shelves. As for the million pillowcase challenge, I think that is a great idea. I’ve done a few of those and have also made some pillowcases that I sent to Afghanistan where a dear friend is stationed. Turns out that soldiers like fresh, clean pillowcases, too. 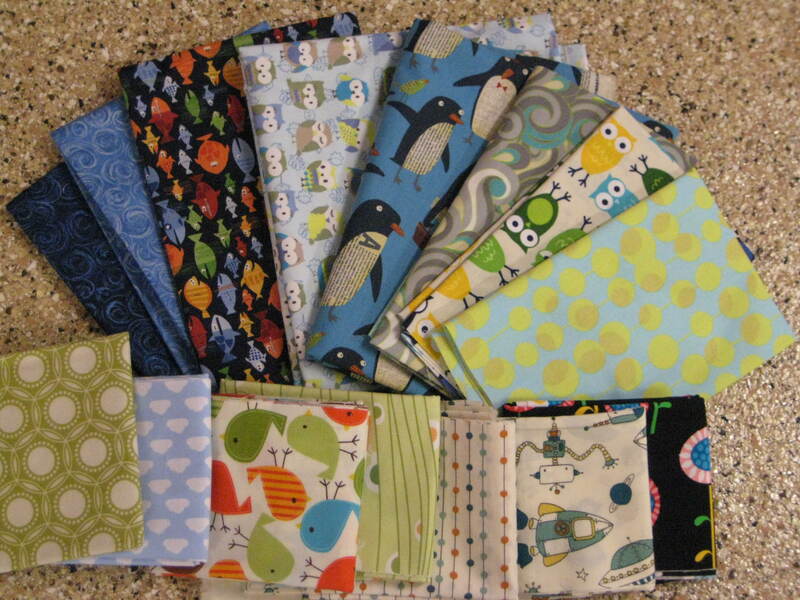 Let’s hear it for quilting from our stashes and for turning “has been” fabric into a treat for someone else. What a great blog this is! I marvel that you find time to post these entries. Of course you are doing some for me too since I have the pleasure of sharing some of your /our quilt retreat adventures. Considering I started you on this great adventure when you were in third grade, I myself have fallen off the wagon and now quilt because you reintroduced me to the pleasure . Funny how that goes. It is now my pleasure to feed the habit of all who may love the addiction. Particularly you, big hugs.